What's the school where you sing and dance all day? 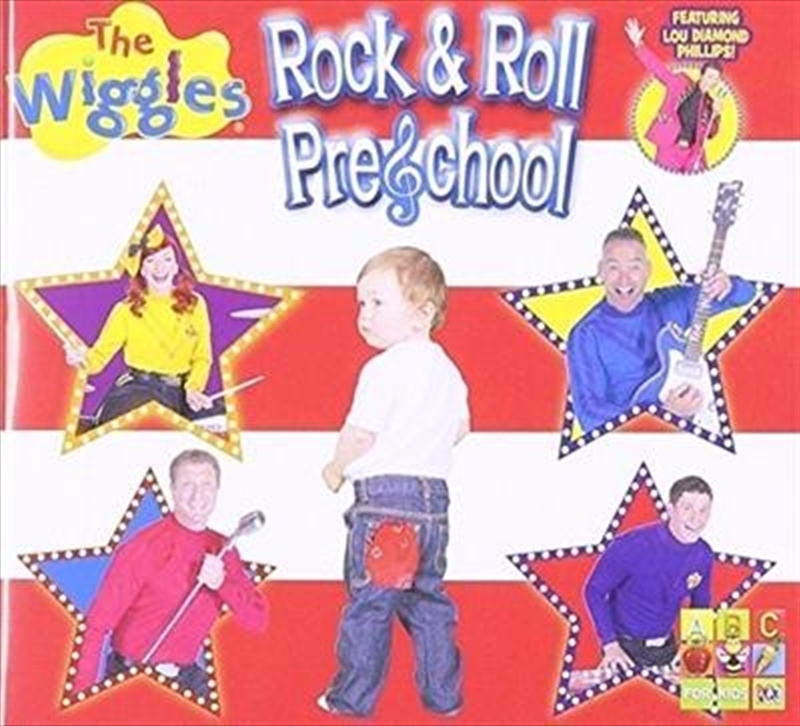 The Wiggles' Rock & Roll Preschool! Anthony, Emma, Lachy and Simon have created over 20 songs that will top the charts of every home! You'll shake to "That's the Sound of Rock & Roll," rise and shine with "Wake Up!," swing along as you "Dance with Emma" and shake your hips with "Two Polite Elvises." This amazing collection of swinging songs is really all shook up! The Wiggles are joined by friends, including La Bamba star Lou Diamond Phillips from the USA, Aussie entertainer David Campbell and New Zealand's Robert Rakete. They really are rockin' all over the world! The Wiggles' Rock & Roll Preschool is open now and the lesson for today is to have some fun!